A Cooperative Space for Local Artists! Shop Local Art for the Holidays! The 253 Collective is partnering with Duchess of Downtown for the 2016 Tacoma Art Bus Holiday Shopping Tour! The Art Bus takes off from Downtown Tacoma on December’s Third Thursday Art Walk and tours several local shops. Tickets are $20 and include the tour, gift bag, and pizza at Cafe Vincero. Enjoy a festive bus ride to our gallery to meet our artists and purchase holiday gifts – original paintings, prints, cards, photography, and handmade jewelry. We’ll see you soon! This entry was posted in Art Event. The 253 Collective is a cooperative gallery for local artists in the Tacoma, Washington area. Visit our location to meet the artists that staff the shop, buy original artwork, prints, greeting cards, jewelry, and join us for gallery shows. See our hours listed bellow. Learn more! 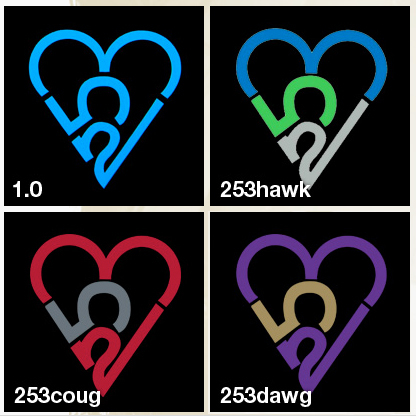 We now carry 253 Heart Decals. We are selling UWTacoma and Seahawks decals plus an assortment of other colors and sizes. Visit us and purchase your 253 heart today! 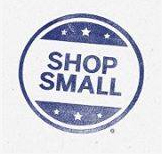 Shop Local all year long! Enter your email address to follow the 253 blog and receive notifications of new posts by email.